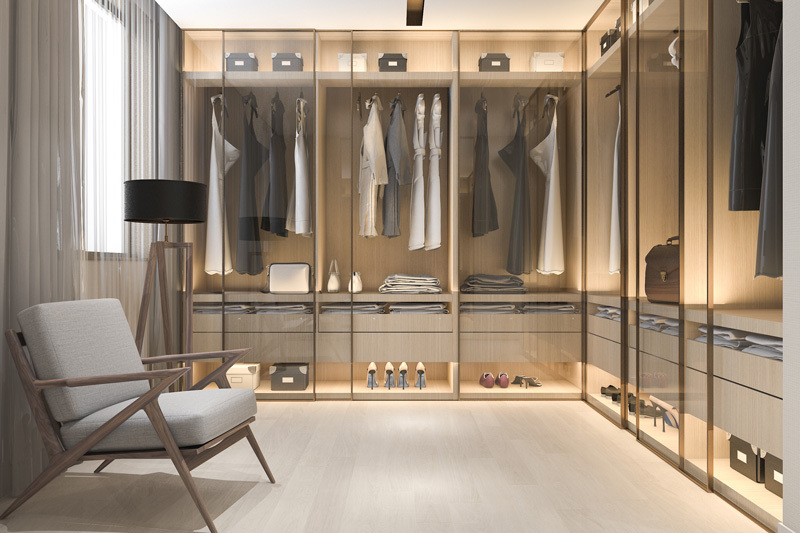 Closets are important fixtures in the home. 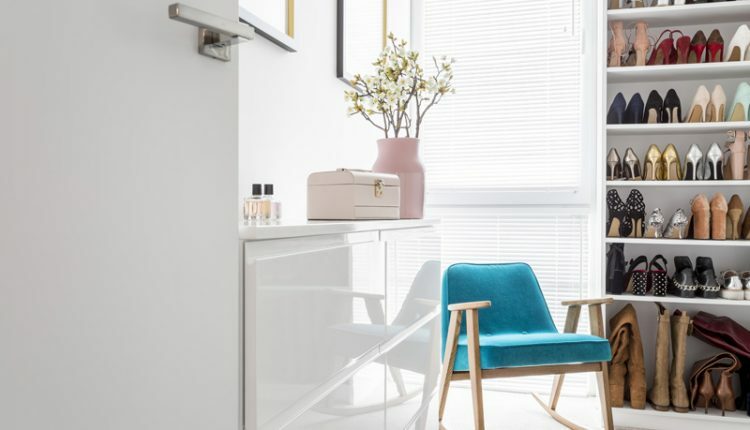 Aside from containing and providing protection for clothes, toys, and food, the closet contributes significantly to the room’s ambience and design. Before placing an order for a closet, here are some things that you need to consider. The size of the closet depends on the size of the space in which the furniture will be placed. After considering the amount of space, also think about the number of items that you will be placing inside the closet. It is suggested that you place similar items in one closet than having several closets than contain the same items. This will provide ease in organizing the contents and in looking for things stored in the closet. 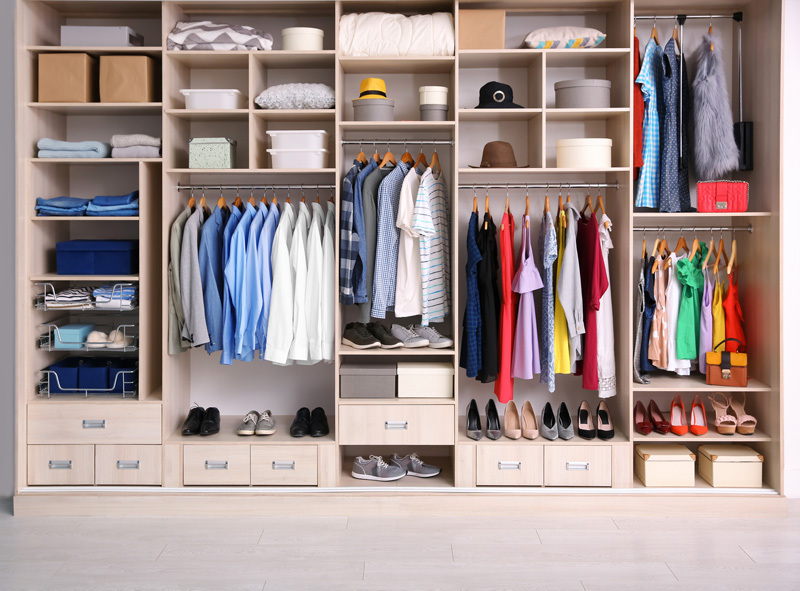 While most closets are made of wood, the most important thing that you need to consider is the sturdiness of the materials used. Closets are almost permanent fixtures in the house. These cannot be easily replaced without going to a lot of trouble with the construction. Make sure that the materials used can stand through time until you decide to have the house renovated. Make sure that the wood has been pretreated to prevent mold and insect growth. Also, make sure that the materials are suitable for what you intend to store in the closet. Some closets may not be good for storing food, so ask first before buying a closet or ordering one. You can also purchase a closet in three ways. You can buy stock closets, which are ready-made that you can take it home on the same day. This is cheaper; however, it provides you with little options. You can order semi-custom closets. This would mean that the maker can give you samples of designs, parts and accessories, and you can select your own combinations. Custom closets are the most expensive. If you choose a custom closet, you can specify the size and shape (for irregularly-shaped spaces) and design of your closet that you would like to order. Also consider the drawer slides. These are rated according to load capacity as light, medium or heavy. It is better to choose slides that have full extension capability so can access the full depth of the drawers. Consider the amount of contents that will be stored in the closet. It will be better that you have a single closet for similar items for ease of storage and finding what you need. Also, think about what type of items will be stored. Will you need additional drawers, attachments and racks for your closet? Make sure that you inform or ask the maker about this, so they can give you suggestions and more information. Finish: Apart from considering the latest trend, ask what will look good with your home. For a traditional style, brushed finishes, polished nickel, pewter or brass will look great in your home’s interiors. For contemporary style, enamelled and gloss-metal shine will match your home’s style. Knobs and pulls: Knobs and pulls are mounted on drawers and doors to facilitate opening. Knobs are attached with a single bolt and screw and require less space than pulls, which are attached by two screws. Both can be combined with a backplate or can be used alone. These are available in a variety of designs, colors and finish including sterling, antique or polished brass, aged bronze, iron, nickel, polished chrome, ceramics and antique copper. Backplates: Backplates are placed on the knob or pull and the drawer or door surface. These are used to cover existing holes on the surface (usually when changing knobs or pulls), to protect the surface (during construction or when the knob is pulled) and to improve the design of the hardware.